Aist 2D is a russian microsatellite developed by designed by a group of students, postgraduates and scientists of Samara Aerospace University in cooperation with TsSKB-Progress. The satellite's mission is to test a new micro satellite bus. The prime payload is the Avrora imager which has a ground resolution of 1.48 meter in panchromatic mode and a 4.5 meter resolution in multispectral mode. Also on board is the BiRLK Bistatic P-Band Synthetic Aperture Radar (SAR) capable of observing targets hidden by vegetation and subsurface features as well examinating global geology and vegetation biomass. 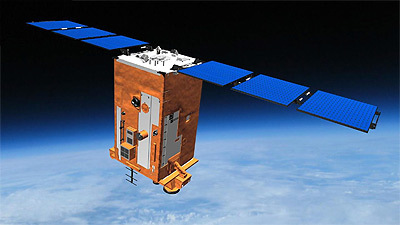 The DMS-01 mass spectrometer analyzes the gasseous environment of the satellite, especiall the outgassing of the satellite components. The satelite was launched piggy back on the maiden flight of the Soyuz-2-1a Volga launch vehicle from the new Vostochny cosmodrome.